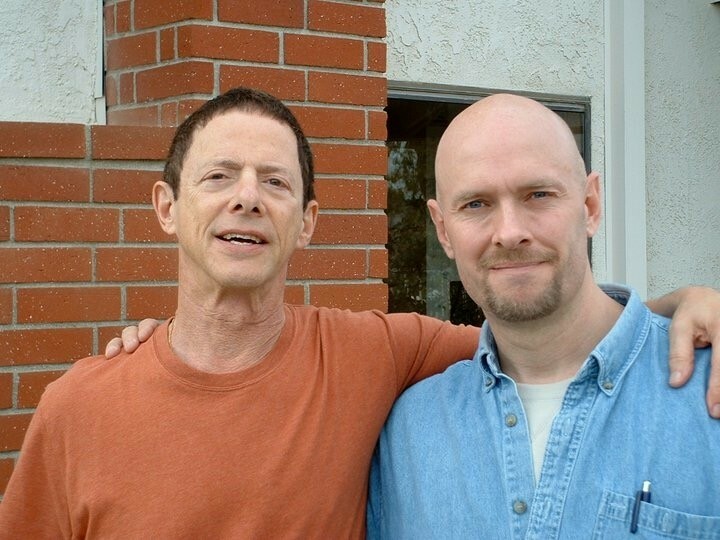 John Little with Objectivist philosopher Leonard Peikoff who was Ayn Rand’s protege and foremost interpreter. John Little (Linkedin) is considered “one of the top fitness researchers in North America” (Ironman magazine). An accomplished author in the field of exercise (Max Contraction Training, Body By Science, The Art of Expressing the Human Body), philosophy, history and martial arts, John’s articles have been published in every major fitness and martial arts magazine in North America. He’s produced a whopping 40 publications. Throughout his career, John has worked alongside the biggest names in the industry, from the Estate of Bruce Lee, to bodybuilding icons such as Arnold Schwarzenegger, Mike Mentzer, Steve Reeves and Lou Ferrigno to action stars such as Jackie Chan. John is also an award-winning documentary filmmaker, having produced and directed films for both independent companies and major studios such as Warner Bros.
John and his wife Terri opened Nautilus North Strength & Fitness Centre in 2004, where they continue to conduct studies on exercise and share the data with their personal training clients. Nautilus North has supervised in excess of 80,000 one-on-one workout sessions. Little lives in Bracebridge, Ontario (Canada) with his wife of 28-years and their children Riley, Taylor, Brandon and Benjamin. 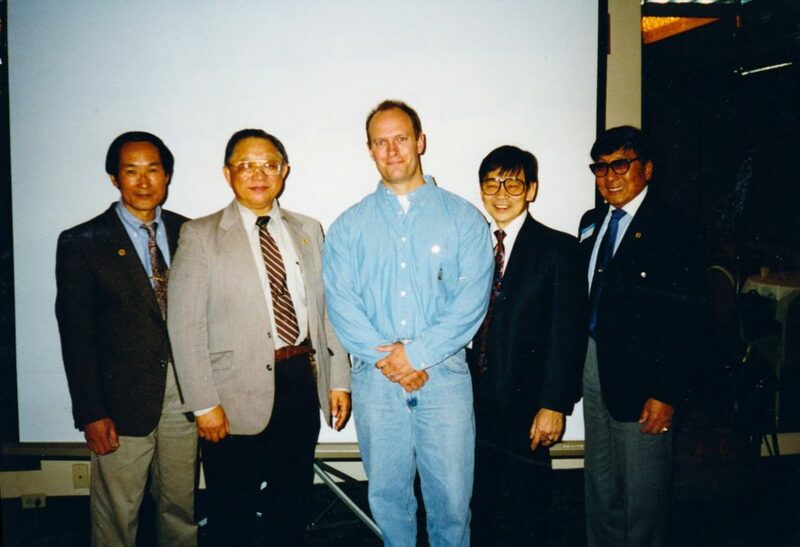 John Little with four of Bruce Lee’s good friends and students. John is considered to be one of the world’s foremost authorities on Bruce Lee, his training methods and philosophies. Selected by the Bruce Lee estate, he is the only person who has ever been authorized to review the entirety of Lee’s personal notes, sketches and reading annotations and to edit books on the subject of Lee’s martial art and its far-reaching philosophical underpinnings. He has devoted much effort to popularizing the works and philosophies of Will Durant. He founded and heads the Will Durant Foundation, which is an effort to keep Durant’s ideas and thoughts alive in the modern era. This is John’s second appearance on Corporate Warrior. To Listen to Part 1, click here. John is the most sought after guest for a Part 2 that I’ve ever had. His knowledge of exercise and philosophy is staggering and I learnt a ton recording both of these podcasts. Both are a treasure trove of exercise wisdom and practical philosophy. John Little with Mike Mentzer in 1981. John Little spotting Dr Doug McGuff during a workout at Tony Robbins’ compound in Fiji. What I would give to have dinner with these 3 gents. John has built an impressive physique using HIT principles. QUESTION(S) OF THE DAY: What is your favourite quote on living well? Please let me know in the comments. Guys, great convo. One question: What is the Big 2/Big 3 routine?! A big three would be comprised of three exercises that work most of the major muscle groups of the body – E. G., Leg press, pull down, chest press. A big two typically would consist of the leg press and one of the upper body exercises indicated above ( which could be alternated on a weekly basis ). However, feel free to be creative and use different exercises if you wish, according to your energy levels, motivation, etc. Emerson was a great man. You should visit his house one day. It’s very cool and original. BC is great. I live three miles from the BC campus in Newton, MA. If you ever need help with anything in this area, don’t hesitate to call on me. I can teach him how to speak Boston. Pahk da cah in hahvahd yahd. Guys I haven’t been able to listen to the entire interview yet. Just wanted to say awesome stuff so far. Two calm and collected thinkers. So interesting to hear the evolution your perspectives and experience John and yours as well Lawrence. Looking forward to hearing the rest of this. I like the comment John made about shouldn’t you guys have 20 inch arms by now were it not for genetics. Also the comments about working out 7 days a weeks, how much is ones tine worth, working toward making exercise more efficient/brief. I also like how Johns refers to this as high energy output training. Thank you Donnie. I would hardly consider myself a collected thinker though but working on it! I get as confused as many of the listeners haha. Indeed re 20 inch arm fallacy. It is very liberating to accept genetic limits and refocus energy on more product goals. On the contrary, I am experimenting with 2-3 workouts per week (A/B split: baye.com/qa-kratos-condensed/) but with no false hope to build more muscle. If it yields better and worthwhile results then great otherwise not bothered :D. I expect I’ll return to 1-2 times per week in time. Another interesting question for John since you brought it up Lawrence: John, you asked a rhetorical question to Lawrence during the interview, “You and I both have been working out for a long time, so why don’t we have 20 inch arms then?” Could it be it is because you and Lawrence have not been training more frequently? More volume? ???????????? Ha ha! No, I think if I had the potential for even an 18 inch arm – let alone a 20 inch arm – it would’ve been manifest many decades ago. It’s funny, I think we have all met people in our lives who have exceptionally developed body parts, but never did any direct training for them. I have a client at my gym who is 61 years old and has an 18 1/2 inch calf – and has never done any direct training for his calf muscles in his life apart from walking and perhaps mowing the lawn. I think bodybuilders, for the most part, have that kind of muscle fibre density spread uniformly throughout all of the major muscle groups in their bodies, which makes them even that much more of an anomaly compared to most of us. Well, I guess you won’t ever know for sure until you tried. Tried it in the 70s when Arnold ruled. Sorry to say, no 20-inch arm ever sprouted as a result. By all means dig into volume training if you are hungry to “know for sure” for yourself (my experience may be only relevant to me); as for me, the results (such as they were) didn’t justify the weighty time and energy investment. Body By Science didn’t work so well for me. I seemed to lose a little size even. I switched to a dumbell routine from Matt Brzycki’s book with 10 exercises instead of 5 and got much better results but then got stuck on the same rep count on all the experiments, and got discouraged and quit. People who didn’t know I worked out could actually tell the difference on their own though after I quit! I’m trying Beyond Brawn right now at 2-3 sets per exercise once per week with long rest periods to see how that works. I want to see how heavy I can lift too. I have done my best doing 3 sets on a few exercises 2-3 days per week. It’s still only a little over an hour a week of training, however. I don’t know about just starting out with once a week, but I’m trying it. I’m not sure if one set to failure doesn’t work for me because of genetics or if it’s just I’m not pushing hard enough, but I do get pretty wasted on one set only to failure actually though! I couldn’t do 3 workouts in a week doing that, and I could barely even do 2. Still, I know I’ve done better using 3 sets…. People from the high frequency and high volume crowd frequently (pun intended) make the charge that a person can “burn out” their central nervous system without actually stimulating muscle growth. I hear this charge against h.i.t. an awful lot, but I have never heard an answer given as a defense to this charge. Interesting. I’ve never seen a science paper on central nervous system burn out. And I should think that if there were such a thing occurring, then how are you doing in your workouts would be the least of your concerns. Your central nervous system as a whole ton of responsibilities, only one of which is muscle contraction, so if your central nervous system is burned out, you’ve got some serious health problems. Training is pretty simple really (although some people – particularly in the high intensity training community – try to make it sound like very complex rocket science): work out hard (hi energy output), take time to recover, try to consume a nutritious diet, get adequate sleep, and your genetics will take care of the rest. It may be that what these people refer to as being CNS burn out is simply a means of saying that they are feeling over trained, over fatigued, or have simply bumped up against the limits of their respective genetic potentials and that all further efforts resulted in no additional progress. It sounds to me like you’re doing the right thing with your own training, which is experimenting on finding a frequency and protocol that you can adhere to. There’s nothing wrong with doing three sets for an exercise – the most successful and enduring resistance training program of all time (and which everybody else’s workout programs, including my own, are but footnotes), was created by physiologists DeLorme and Watkins back in the 1940s, and consists of just that – three sets of 10 repetitions. The authors said that they could probably get the same results with one set utilizing one’s 10 rep max weight, but that there was no downside to doing two warm-up sets prior to it. I’ve even used the DeLorme and Watkins method myself and with my clients, and the results are no less significant than one set to failure. If you feel more comfortable getting to the bottom of your gas tank over three sets as opposed to just one, that’s fine. I applaud the fact that you’re thinking for yourself and finding your own training path. For my part I stay off Internet forums (what an inopportune time I just cose to make that statement!) as I have yet to see one that doesn’t devolve into chest thumping and majority rule. However, that’s just my opinion, if you feel otherwise and are actually getting something out of such forums, then more power to you. Perhaps your having changed your protocol represented a transitory escape from the Conservation of Energy Phenomenon I touched on in speaking with Lawrence. Hard to know what other people’s opinion on your appearance means; I’ve had people tell me I looked like I had gained muscle, (looked “jacked” in their words), etc., when my physique hadn’t changed at all and that I looked like I’d lost weight when my weight hadn’t changed at all. Subjective indices are about as stable as weathervanes I’m afraid. But if you’re pleased with the results of your training efforts that’s really, in the final analysis, the only opinion that should matter to you. Again, it’s a pretty minor affair this matter of how one (might) look in the eyes of others. If you give someone outside of yourself the power to hold you up, you’ve also given them the power to throw you down – and that’s way too much power to give to people who aren’t you. They didn’t know even that I worked out in the first place. They did, but not because I told them. It’s hard to explain. Sometimes in life there are certain things you just know, and you know them by simple common sense. Awesome interview. I miss listening to you. I wish you would do more interviews. Do you think there is something with a focused diet as it relates to dealing with chronic inflammation? Hi John, thank you for the kind words. I guess it would depend on the severity of the chronic inflammation. If it is a medical condition, then an exercise theoretician would be the last person you would want to consult about that. It is certainly true that particular food stuffs, combined with lifestyle choices such as smoking andor /drinking can lead to an inflamed metabolic state. In such instances, attention to these details and the elimination of food stuffs that are quickly converted to glucose can help to reduce inflammation. So processed foods, sugary foods, etc., would be wise to be excluded from one’s diet. However, if it is a serious medical condition, then a medical doctor would be the best person to consult with. Thanks John for the quick response. I do have a problem with the processed/sugary foods and that would be a place to start with. I would say the different variations of isometric exercise does well for me and I love performing them. I began experimenting in the past years on my own with making little adjustments to my routine based on how I felt for the day or what was available to me. Sometimes it would be just changing the order of exercises or how I would employ isometrics in a little different way. Working out is contextually based, as you talked about in the interviews. what ever your dealing with at that moment in time. I couldn’t find any info on your new exercise book on Amazon. Too early? One last thing to mention. the Bruce Lee Company has been doing a weekly podcast for the past year, mostly on his philosophy, that’s been amazing. I have suffered from an autoimmune disease from my earliest childhood called Eosinophilic Esophagitis. It is chronic, but it is also somewhat intermittent in it’s severity. At times the inflammation is worse and travels into various parts of my body causing me to have arthritis like symptoms. I was doing Chen Tai Chi Chuan for a while, but actually developed a Morton’s Neuroma and Plantar’s on my right foot, and also even hyper-extended my right elbow while fajining when doing the form. In my 30’s now this is how bad the inflammation has become, and symptoms in my esophagus largely cleared up once I stopped taking the medications they were prescribing to me, and started taking apple cider vinegar instead and also avoided most all of the foods that I am sensitive to according to the blood test I took at the Naturopath’s office, and my last endoscopy proved this to be the case, however, if I were to continue to avoid all of the food “sensitivities” that only the “quacks” can tell me I have, I wouldn’t really be able to eat anything because there isn’t anything left to eat after the elimination process is complete. Consequently, I have resided to learn to live with my disease instead, John Beynor, but what you really need to do is just get healed from your food sensitivities if you have them, and you probably do, because it’s pretty dang difficult to live with trying to avoid them all – unless you only have a few. (I know I’m at risk for sounding like a nut here.)…. John R. Little, I wanted to know from you about why isometrics are not regarded by the majority of the fitness world as being on equal grounds with isometrics. Most seem to believe they are only useful for supplementary purposes, but there is only a very small minority it appears (not necessarily all within H.I.T. thinking) who will actually go so far as to say that one can get basically all the same thing from doing isometrics only. I was wondering what you have to say about this as to why this is a minority opinion, and if that opinion is at all changing, or possibly ever will? I noticed also that on your original Max Contraction book in particular that the reviews written on amazon were nearly just about 50 percent divided right down the middle, and down right ridiculously controversial! About half the readers/reviewers said the program worked for them great, and the other half were saying it didn’t work and they lost strength and muscle. I was wondering why this might be, and also if you could and would address here somewhat just a little the issues surrounding transfer of strength. Can isometric’s only (e.g. Max Contraction or Max Pyramid Protocol) be used effectively for sports specific training on their own – for example? I was just very curious what you would say to this. I’ve only read Static Contraction by the way, and haven’t read Max Contraction yet. Q#1: Most seem to believe they (isometric exercises) are only useful for supplementary purposes, but there is only a very small minority it appears (not necessarily all within H.I.T. thinking) who will actually go so far as to say that one can get basically all the same thing from doing isometrics only. I was wondering what you have to say about this as to why this is a minority opinion, and if that opinion is at all changing, or possibly ever will? Answer: I long-ago lost interest in what majority and minority opinions are on most subjects. They typically are not subject to change, as most people will hold onto their beliefs, prejudices,etc., all the tighter in the face of whatever evidence or counter beliefs are presented. We need only witness the televangelists who get exposed as being con men, and how little effect that has on their followers to observe this phenomenon in action in a different context. Whenever something is introduced that potentially threatens an existing paradigm, the person who advances it is automatically going to draw a fire from some quarters. You can’t tell people there’s a better way of doing things without the implication that the way they are presently doing things isn’t all that it could be. And many people identify with the things they do very strongly, and consequently they take such offerings as either an insult to them personally or to their belief system – which, again, they view as an extension of themselves. My advice would be read up on the protocols and, if they make sense to you, employ them in your workouts and see if you like the results. If you don’t, that’s fine. You have to remember that most advocates get their advice ultimately from somebody who is selling them something (such as a training protocol) and consequently they have their own authority figures outside of themselves to whom they look for advice and base their beliefs upon. And they will aggressively defend what they perceive to be any attack made upon the founder of the belief or it’s propagator, and/or any perceived attack upon the belief itself. That’s why when Nautilus came out it was attacked by the barbell manufacturers such as Weider; whose articles maintained that muscle could not be built on a Nautilus machine or that it would result in making a bodybuilder appear smoother. It never occurred to the defenders of the barbell method that muscles are contracting against resistance on a Nautilus machine exactly the same as they are when lifting any weight – from a cinderblock to a dumbbell — and does not innately make any distinction between any of them. All a muscle is concerned with is force production. Similarly with protocols. I think given the Conservation of Energy Phenomenon, that even if one is a solid advocate for dynamic or full range conventional barbell exercise, it would still benefit the trainee to alter the stimulus applied to the muscles in order to take the best shot at recruiting more fibres in to their bodybuilding workouts. Max Contraction Training is a solid protocol to intersperse at various points throughout the year to keep the stimulus optimized (both physically and psychologically). I noticed also that on your original Max Contraction book in particular that the reviews written on amazon were nearly just about 50 percent divided right down the middle, and down right ridiculously controversial! About half the readers/reviewers said the program worked for them great, and the other half were saying it didn’t work and they lost strength and muscle. I was wondering why this might be, and also if you could and would address here somewhat just a little the issues surrounding transfer of strength. I addressed this misconception along with Dr. Doug McGuff in our book Body by Science. In short, it has to do with the way muscles are innervated. You don’t have fast twitch fibres in the lower third of the biceps, intermediate twitch fibres at the origin of the biceps, and slow twitch fibres in the middle of the biceps – motor units comprised of slow, intermediate and fast twitch fibres are interspersed randomly throughout the length and breadth of the biceps muscle (and all skeletal muscle for that matter). Consequently, if you fatigue all of the motor units in that muscle then it will be stronger over all – not only in one region of its range of motion. However, if you are looking to get better in a particular lift; and remember any type of strength training exercise that involves coordination is a skill set that you are developing in addition to being a strength building activity, consequently if you want to get better at a certain skill set, or even to maintain your ability with a given skill set, you must practice it. If you deviate away from the practice of the skill set for a period of time, and then return to it at a later date certain of your skills for that activity will have eroded but can quickly be brought back up to where they were by the practice of the activity again. However, people advocate for or campaign against various things for various reasons, consequently I long ago lost interest in trying to analyze the rationale (or lack thereof )underlying most people’s beliefs on various subjects. In truth, it would be the same to me if everybody loved my books or everybody hated my books; I don’t write them to get the wind blowing in a particular direction, I wrote them because I thought I had something to share that might be of interest and help to people who shared similar passion in their pursuit of that passion. Q # 3: Can isometric’s only (e.g. Max Contraction or Max Pyramid Protocol) be used effectively for sports specific training on their own – for example? I was just very curious what you would say to this. I’ve only read Static Contraction by the way, and haven’t read Max Contraction yet. Answer: A stronger athlete is a better athlete, so the old adage goes. And isometrics can make you strong just as readily as full range exercise. Perhaps at the end of the day not better than full range exercise can, but then full range exercise is no better than isometric exercise either. 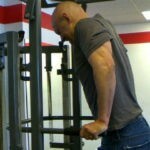 The key is to stimulate as many muscle fibres as possible. If you perform an isometric contraction with a weight that is too light you’re only going to recruit a handful of fibers, but the same applies to doing dynamic exercise with a weight that is too light. One of the problems for people who do Max Contraction training is it that they use weights that they are restricted to moving in a dynamic exercise through their weakest point in the range of motion. They are much stronger in the position of maximum contraction and the weights must be adjusted accordingly for optimal stimulation to occur. If the weight is significant enough and the time that your muscles are exposed to this resistance is meaningful enough, you will have recruited and stimulated all of the fibres necessary to become stronger. And if you are an athlete, such exercise will make you a stronger athlete, which makes you less prone to injury, and allows you to perform at a peak level in your event. If you were looking for an example of a successful athlete who used isometric training far more frequently than full range training, you need look no further than Bruce Lee as he was an advocate of isometrics from the mid-1960s right through until his death in 1973. And by all appearances, he seemed quite functional strong and exceptionally agile. Isometric training did not in and of itself make him a great martial artist, but it quite clearly did not hinder him in becoming one either. Now these are general answers to your questions, the specifics of which can be found within the two books you mentioned – if you are interested in looking for the differences between the two methods, and/or the benefits to be had. It’s very difficult for me to put into a paragraph what took me an entire volume to write and explain, but hopefully the answers above may have provided you with some guidelines. Thank you for your lengthy reply John!☺️ One charge that I know is often made against isometric only training is that some who were using this approach in the past were later thought to be using steroids. I recently had someone arguing with me about Mike Meltzer over that issue (to which I only replied, “ALL of them did.”). It’s besides the point anyway, however, because that point by itself and/or any other of Mike Mentzer’s faults and character shortcomings do not themselves disprove or do justice against the truth or effectiveness of his actual teachings, beliefs, and practices. All anyone can do is try it, and see if it works for them, and if it does then what more proof to the method do they then need? Great stuff here. Reminds me of the conversations that were stimulated on the Body By Science blog. So motivating! I’m glad that Doug is still putting HIT stuff out there. Yes indeed Lawrence. That blog had a massive amount of great discussion and information. Greatly influenced my thinking and perspective for sure. No worries Ricky! I guess the short answer to your question is “no”. To begin, I don’t know that any one protocol of mine is necessarily less (or more) effective than any other one. As Mike Mentzer once said to me, results are largely linked to effort which, in turn, is largely linked to motivation. Max Contraction can be a very safe protocol (made all the more safer by having a capable spotter or two at hand — depending on the resistance you are employing). But having said that it can be a little impractical as well if your strength levels get too great and you have to end up pinning barbell plates onto a machine’s weight stack, which of course were not designed for that, or your isometric strength far exceeds your concentric strength. Max Pyramid is a very effective protocol as well, and it needn’t be carried out for long periods of time, as you can arrive at a “hold” time (or time of contraction) that is as long or as short as you wish. Max Pyramid simply makes use of the moment arm principal from physics, which negates the potential problem indicated above of ones needing to pin additional waits upon wait stacks. I am not entirely sure it’s a safer protocol, despite using lighter weights and relying on the moment arm principle, as the moment arm itself means the force output of a muscle (or muscles) at that point in the range of motion is as high as possible (of necessity) even though the resistance the muscles are contracting against may not be that heavy. By contrast, the fully contracted position of a muscle (the effective “training position” in Max Contraction Training for example) is also its strongest, which is why it is capable of contracting against much heavier weights. It does stand to reason that one is less likely to be injured in one’s strongest position, rather than in one’s weakest position – at least theoretically speaking. You answered some quesitions I had as well in these additional thoughts and information. I was able to listen to the rest of the interview. So much stuff to think about here and apply to one’s own life. Your thoughts regarding diet and going into a bit about Steve Reeve’s diet. The comment about a hunter/gatherer happening on an apple orchard. Mike Mentzer’s diet recommendations. I am being somewhat contradictory with my own diet because I consume some things on a regular basis that would not fall into the healthy category. The conversation delving into Bruce Lee and philosophy was awesome. I afraid to of leaving out some specific thoughts that really resonated with because you went into lot of stuff here. When I made the comment about you influencing my life A LOT in my previous comment I was very much referring to the philosophical and free thinking influence as well as the strength training. Your critical thinking recommendations interwoven into your strength training writings encouraged me clear back when I must have been 15 or 16 and have stayed with me since. Mike Mentzer’s writings did this as well. I’ve never been much into the study of philosophy, at least not in the conventional sense. Your comments about applying things to one’s own life and finding your own path is largely what I have done. With so many influences that have come from so many sources. I really liked the farmer (parable?) Your expounding on Bruce Lee’s thought evolution. Your own thought evolution. Thoughts about following those passions / things that we are really interested in. How if something is a passion to YOU, that is what matters. Hearing about how your interest in Bruce Lee kept leading you down different paths. Great, great conversation/interview. I felt like it sort of expanded organically. So much inspiration here for finding one’s purpose(s) indeed. Thank you very much for the kind words. And many thanks to Lawrence for the opportunity he provided to go into those various topics! Fantastic interview, I have been a fan of John from the days he had a column in Bodybuilding monthly. Great to see he has not lost his skill of communication and desire to help people to not waste their lives in the gym.It would be great if he could write the heavy duty column again, a lone voice of reason in a crazy world. If I can recommend a great contemporary philosopher I would suggest Dan Dennett, he is way ahead of his time. Hi Ed, my apologies for not replying to your post earlier. Thanks for your kind words. Yes, “Bodybuilding Monthly” was a long time ago. My only recognition of Mr. Dennett is a round table he did with the late Christopher Hitchens, Richard Dawkins and Sam Harris, which was entertaining. Speaking of philosophy, I thought you and some of the other bloggers might be interested in a new documentary I produced on Will and Ariel Durant, which has finally become available on Amazon.com. For those who enjoy perspective born of research and thought, I have always found Durant to be insightful company! Thank you John for being gracious enough to take the time to reply.I will definitely have a look at the dvd as I have already listened to a recording of Will Durant about Bertrand Russell.A personal thank you for your writing from myself as your articles saved me from wasting my life trying to win bodybuilding contests and thankfully forsake all of the paraphernalia that goes with that lifestyle. i am sure there are many other individuals who would pass on their regards for this reason. Your podcast with Lawrence was excellent, good luck with all your future ventures. Cheers Ed :D. You are my favourite twitter follower haha. Appreciate the re-tweets! Oooooo! Will buy! 😀 Thanks John. I finally got around to watching your fascinating documentary and can wholeheartedly recommend it to anyone interested in philosophy. A great experience even for someone such as myself who has only heard of Mr Durant from your writing. Lawrence keep up the great work, it is informative entertaining and inspiring. I can relate to much of what Mr. Little has to say as I get older (I am 42 and have been more or less hooked on working out since 1986). The hang up the phone, I got the message is priceless. If you can get Pete Sisco on it to would be informative (in my opinion). Thank you Brian. Will definitely consider him. I asked Pete Sisco once why John decided to move on from their system, but Pete said only John could speak for himself on that one. I’m wondering if John Little would be willing to explain about all that here a little. I have a few somewhat educated guesses, but I would only be assuming if I just guessed. I touched on the reasons in the Introduction to Max Contraction Training I believe. Supplemental to those reasons given, and in looking in retrospect from my present vantage point, I would suspect that the Conservation of Energy Phenomenon was at play as well, resulting in less return for a higher energy output investment. As indicated in the interview with Lawrence, there comes a time when you recognize that you have tapped out whatever your potential may be and then you have to look at the psychological reasons underpinning your motivation for continuing to do an activity that your body and your mind almost instinctively loathe doing. In some instances, protracting your recovery days in between workouts will keep you motivated but I also believe there is a health benefit to dumping glucose out of the muscles on a little more regular basis; i.e., once a week or so. Now this doesn’t have to be through strength training, it could be almost any activity, providing the activity taps the glycolytic fibers. Having said this, Power Factor Training was a very effective program when I was using it, as well as Static Contraction Training using predominately compound exercises. However, I found that in some instances the weight stacks on some machines were easily maxed out, which then made it difficult to progress resistance, and most gym owners did not look favourably upon pinning weights onto machines that were not designed for that purpose. So, as a practical consideration, there was almost a built-in shelf life to the protocol. And in other instances the weights became so heavy that if you fatigued to the point where you were unable to hold the fully contracted position (this was particularly so with barbell exercises), the weight plus gravity could combine – I say this as a caveat, as when I used the protocol with a partner I never had any problem – to take the limb or limbs you were training into your weakest position very quickly where you are less capable of handling that kind of weight. If you have a good training partner, this could be surmounted to some degree, or even specialized pieces of electronic equipment could circumvent it entirely, but I did not have access to any of that when I made the switch. Awesome insight John. Thank you for taking the time. I really appreciate it. about training. You had some “thinking outside the box” ideas way back then. You influenced A LOT of the way I think in general. You have a calm, very detailed way of describing things, but some how keep it very accessible without watering down the information. There’s stuff I still go back to from the Static Contraction book that originally came out in ’97 or ’98? Stuff from the various Max Contraction books, the Body by Science books. There were some gems from the blogs on the Body by Science site as well. What are some memories (if any) of Ray Mentzer and Brandon Lee? Ray seemed fairly quiet and Brandon Lee’s performance in Rapid Fire was pretty awesome. I met Rae several times and spoke with them on the phone several times, but I can’t say that I was this close to Ray as I was to Mike. Ray seemed more guarded than Mike in conversation, although I’ve heard from others that he was quite gregarious once he felt comfortable with you. With regard to Brandon Lee, I only met him once but he was a fascinating young man who came off as older and wiser than one would normally associate with someone his age. It was certainly a tragedy that he passed away so young. Also managed to get both John Little episodes in today (finally) I have to say, these (especially part 2) are some of the best episodes of the lot. Really down to earth yet inspiring at the same time, thoroughly enjoyed! Oh, also does any one know when “exercise a minimalist approach” wasvor will be published? I didn’t realize John was so jacked ! Another great one Lawrence , keep em coming .